The city Hennigsdorf is located in the northwest of Berlin in the beautiful and idyllic district Oberhavel. Over time, Hennigsdorf has become a large and important industrial site developed by many traditional and modern local companies. Various leisure facilities and numerous cultural and sports activities shape the lives of citizens. The picturesque location in the countryside and directly at the river Havel is in accordance with the nature and makes Hennigsdorf popular with locals and visitors. Hennigsdorf is perfectly connected to the public transport network, so that the vibrant capital of Berlin with its countless sights and attractions and the surrounding Brandenburg region can be reached shortly. There are also excellent transport links to the Berlin Tegel airport, located in about 16 kilometers, as well as to the motorways A111 and A10. Climb in dizzying heights through the treetops of the climbing park Climb Up! in Hennigsdorf. There are different routes of varying lengths and difficulties available for visitors. A fun challenge for young and old. 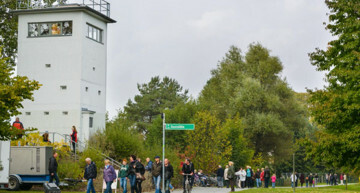 The Border Tower Nieder Neuendorf is a historical building, which functioned to monitor the border line between West Germany and the DDR. Nowadays, visitors can learn about the history of the division of Berlin, inform the resulting consequences and the influence on the region. The Museum Island in the northern part of the Spree Island is a popular attraction in Berlin. It represents one of the most important museum complexes in the world. At the Museum Island tourists can visit the following museums: Old Museum, New Museum, Pergamon Museum, Bode Museum and the Old National Gallery. The landmark of Berlin, the Brandenburg Gate, marking the former border between East and West Berlin and is a national symbol for many people. The popular shopping street "Unter den Linden" ends at the Brandenburg Gate. This boulevard is popular for tourists and Berliner due to the noble boutiques and first class restaurants. The city of Berlin most people associate with the Berlin TV Tower, one of the most popular landmarks of Berlin located at Alexanderplatz. The TV tower offers visitors a unique view over the capital and the restaurant in the tower offers world-class cuisine. A Reservation is necessary. 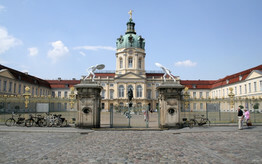 Charlottenburg Palace with its palace garden and the Orangerie is the largest palace complex in Berlin and important for the history of the Prussian kings, German emperors and the nobility of Brandenburg. Visitors can admire the impressive rooms and halls as well as unique works of art in a castle tour. An amazing wildlife you can find in the Tierpark Berlin with more than 7600 creatures. 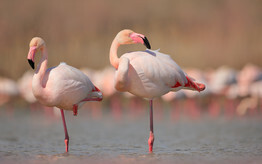 At first hand visitors can see in the eyes of their favorite animals or take part in a feeding. Special highlights are the Tierpark Segway tours or photo walks. The Reichstag Building in Berlin is not only the seat of the German government and parliament but also an architectural masterpiece. Of particular interest is the 23 meter high glass dome with its outside terrace, from which visitors can catch a great view over the “Platz der Republik”. 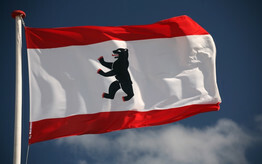 The landmark of West Berlin, visitors will find in the Charlottenburg district at Kurfürstendamm. The Kaiser Wilhelm Memorial Church is the seat of the Protestant parish. In the old part of the church is a museum. The church is called “hollow tooth” because of their ruined tower. The Gendarmenmarkt is a popular meeting point for tourists and Berliner as well and is located in the historic city center of Berlin. Countless restaurants and cafes and elegant boutiques and shops invite you to stroll, shop and linger. In the center of the square is the imposing Berlin Schauspielhaus, where exquisite concerts and readings take place..